In Bermuda, where I stocked up on them several times, they were only available in the Men’s version. As you can see, the sock foot, though size small, is still too large. I’ve lived with it for many years, though. 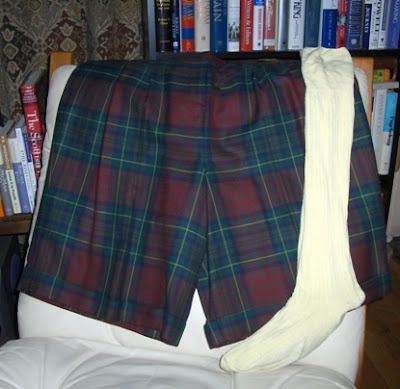 Update, February 2009: Three years ago, in 2006, I mentioned on Ask Andy about Clothes (I’m the member known as “The Wife”) that knee-socks, known as long socks in Britain, were difficult to find. My topic did not go unnoticed by the fashion world. 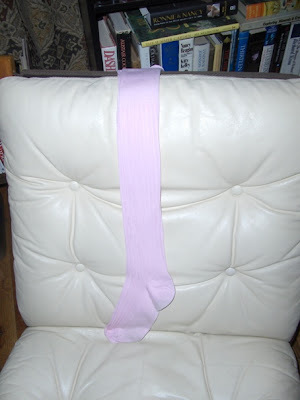 Alex Kabbaz began to stock Pantherella over-the-knee socks, and I got stocked up on them quickly. Here are ladies’ Pantherella over-the-knee-socks from England. They are best worn pulled up to the knee, with the extra inch or two elegantly folded over at the top.